Internet Horror! Racial Stereotypes! Mean Bosses! 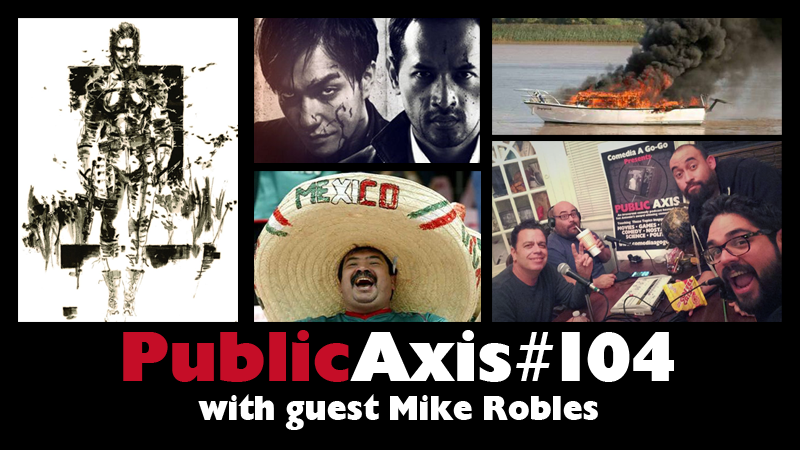 Man the burning ship that is the latest Public Axis with guest Mike Robles! Recorded on January 22nd, 2015 at the Public Axis F-Stop. 00:00 Welcome to the F-Stop! This week, we welcome one of the nation’s top Latino comics and creator of the Que Locos comedy show, Mike Robles. We actually become one degree closer to Tupac…er…Deepak Chopra and discuss the virtues of Couch Surfing. 51:50 Dad’s Corner(ed)! Topic #2: What racial stereotypes are you guilty of? Hijole, sir. 1:27:16 Hey, That’s Not Funny! Topic #3: Have you had a mean boss? If so, were you mean back? 1:52:20 What Did We Come to Know? Public Axis is an educational program and at the end, we always ask our guests and listeners, “What did you come to know?” Enlighten yourself.